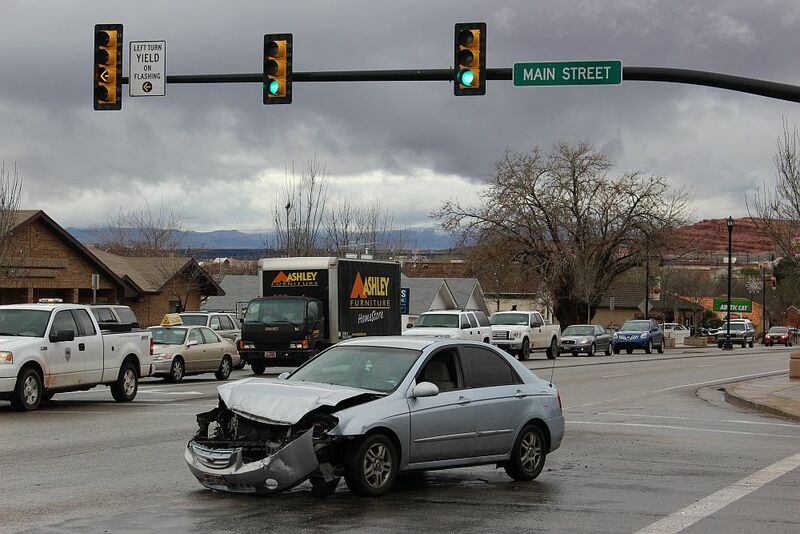 WASHINGTON CITY — An accident caused by a driver running a red light slowed traffic on a major Washington thoroughfare Wednesday afternoon. A black Honda Accord was northbound on Main Street, Washington City Police Department Public Information Officer Ed Kantor said. 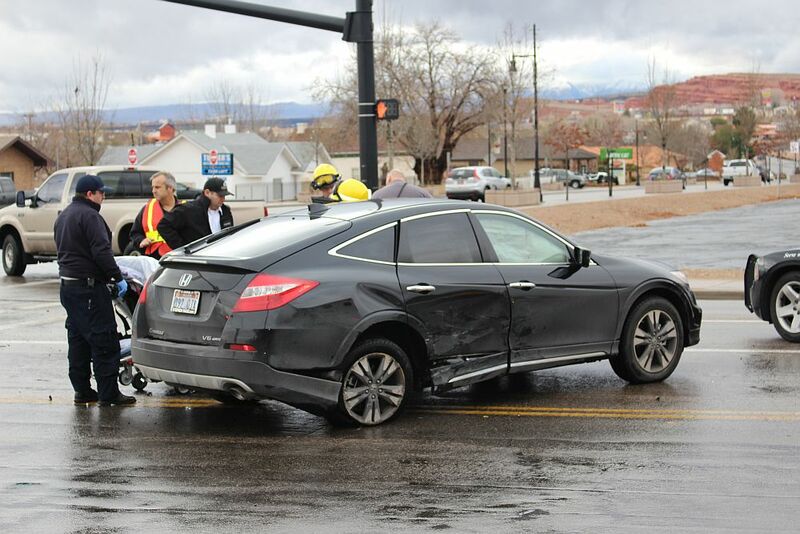 The Honda started to go through the intersection at Telegraph Street at around 1:15 p.m., when a westbound Kia Spectra ran the red light and hit the Honda behind the rear passenger door, causing the Kia to spin into the intersection. The Honda continued on, coming to rest about 100 feet north of the intersection. Each car only had a female adult driver aboard. Kantor said air bags in both cars deployed and the drivers were both wearing seat belts. Both vehicles were towed from the scene and both drivers were transported by ambulance to Dixie Regional Medical Center in St. George for observation. 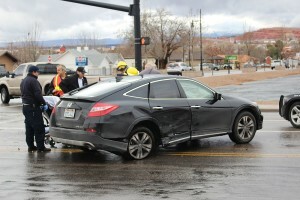 The driver of the Kia was cited for failure to stop at a traffic signal, Kantor said. 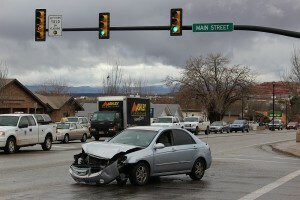 Traffic was slowed on Telegraph Street for about a half-hour while an investigation was done and clean-up occurred. Units from the Washington City Police department, Washington City fire, and Gold Cross Ambulance responded to the scene.